Dial in a code to get somethin’ special! To dial, press the green Dial a Number button up above, and then start dialing numbers on the dial pad or press any number key on your keyboard. Subscribe to Shannon’s fun weekly newsletter! Would you like to receive Shannon's limited one-on-one specials? Yes send me those! The H.E.ART Programme will soon be available for in person workshops, and online self-study. Be sure to check the Events page or Contact Shannon for more information. Shannon believes we are all creative beings, and when we’re not creating or experiencing something new each day our lives can start to feel dull, boring, uninspiring, and even stuck in a yuck rut. Her intention with this new podcast is to inspire everyone to create, whether that be just for fun, or to even share their creativity with the world. Be sure to tune into each new episode as she shares creative tools, techniques and inspiration from other creative beings shining their brilliance in the world. Nothing on the books right now, stay tuned! Shannon Knight delivers engaging, out-of-the box interactive experiences. One of her biggest strengths is getting people out of their comfort zone and into a more playful, open minded posture. She has a natural ability to foster a welcoming environment where participants become receptive to learning and trying new things. She loves exposing people to new kinds of tools. Her wide experience in hosting shows and events also comes in handy. She is known for bringing a lively buzz to the occasion. Shannon loves presenting unique experiences to help individuals connect with their creativity. These experiences are all about actually getting a person to get into greater touch with their inner wisdom and creative self expression. Shannon uses a variety of fun themes based on the time of year. Some of her favourite types of creativity workshops include combining painting, healing, and intuitive readings. Many people have trouble creating the discipline to do these kinds of activities on a regular basis. We all have a voice saying that we are not creative enough, or that we have more important things to do. But these activities are fundamental to our happiness and wellbeing. Shannon Knight’s workshops encourage individuals to colour outside of the lines and are great catalysts for positive change and inspiration. Shannon Knight has been teaching these skills for over a decade. She is able to teach these skills in an enjoyable way and is able to break down the processes in a way that breaks with preconceptions participants may have. Her approach is practical and oriented toward results. She has a rich educational background, having taught under a variety of experts and after undergoing many years of training. She has collected many tools along the way and teaches these in a unique way that even the most ‘left-brain’ participants can get something out of. Most team building events are dull with participants reluctant to engage. Team building events are an opportunity for individuals to grow new skills as well as create better connections between people working within an organization. Whether you are looking to provide your group with a chance to create better chemistry, or you want members to cultivate new skills and attitudes, Shannon Knight is the perfect hire. She can put together activities and lead them while doing it with a sense of fun. Shannon has a knack for ramping up the participation levels of even the most withdrawn and reluctant participants. In need of a dynamic, enthusiastic host to lead a fun event? Whether it is a game night, show or competition, Shannon Knight is a perfect hostess that will keep the crowd engaged and laughing. Need someone to setup a curriculum of games? Shannon has you covered there, too, if desired. Contact Shannon here to start an exploratory conversation about the kind of event you are interested in hiring her services for. She operates mainly throughout the United Kingdom from her base in Shropshire but can travel depending on the occasion. 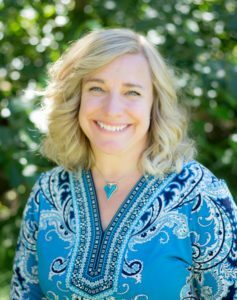 Shannon can host a wide variety of audience members, as she has experience teaching children, adolescents, working professionals and adults in all age brackets. 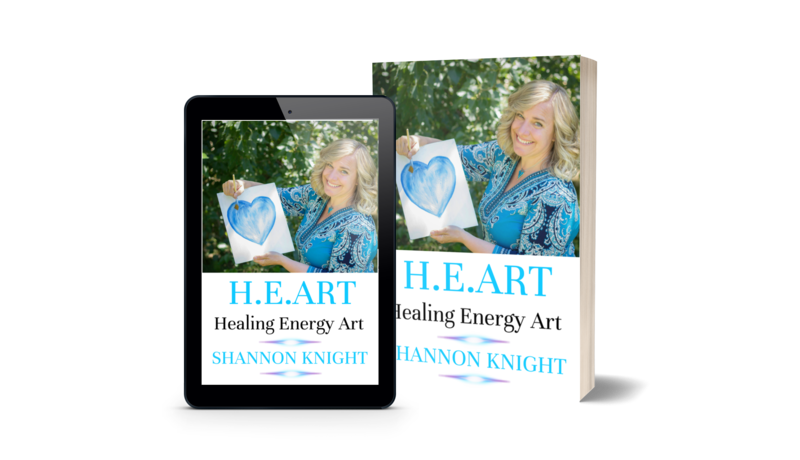 Shannon does creative personalized Soul Art Readings via email. For these readings, Shannon tunes into you as Spirit, and clairvoyantly reads your 7 main aura colours, and symbols in the present time. She then paints these colours and symbols into your painting. She then asks for a spirit animal that wishes to work with you in the present time, and paints this onto your painting as well. After Shannon has finished painting your Soul Art Reading, she sends it to you via jpg format via email, along with a very detailed reading. 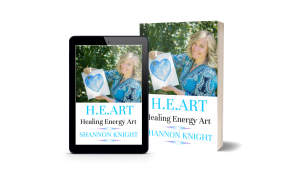 Soul Art Readings give you a snap shot of what your current energy themes are, and Shannon also loves to share spiritual healing tools and tips, too. These are fun, colourful, unique collage style paintings. If you would like to book a Soul Art Reading, please email Shannon for current availability. Know it takes courage to be honest with yourself. If you are ready to bring your unique creations into the world, whether it’s a book, art, curriculum, creative side hustle, or even oracle cards, Shannon would be completely honoured to be your Creativity Coach. Shannon combines telephone, and email support your whole entire journey, so you feel supported. Since each project is unique, Shannon, and you work together to come up with a personalized package, based on your needs, whether this be to meet weekly, every two weeks, or even once a month. Take the first step by investing in yourself. Please note Shannon only takes a maximum of 6 phone clients a week, to help stay in energetic balance. VIP Packages are available. To discuss hiring Shannon as your personal Creativity Coach or for H.E.ART sessions, simply contact her here. Sign up to her newsletter to catch special deals on these services. Check back here regularly as we add more links to Shannon’s off-the-shelf products. Shannon also creates bespoke products, whether it’s a custom guided meditation with a script completely tailored to you, or illustrations that can be printed on any kind of product or an art piece. Get in touch with Shannon if you are interested. After receiving her BA in Fine Arts & Communications, and Masters in Education, Shannon went on to teach art, drama, and writing for 7 years in the public schools. After the schools started cutting the creative programs, and focusing on “teaching to the tests” Shannon knew it was time to go into a new direction. Shannon then trained for 4 years as a meditation teacher, intuitive counselor and life coach. For the last 15 years, Shannon’s main mission has been to help bring more joy into people’s lives through the use of meditation, intuition, energy healing, journal writing, creating art, connecting with others through team-building, and having fun through interactive games. She knows that every aspect of our lives is affected by our emotional well-being. Fun is vital and necessary for us all to live richer, healthier, and happier lives. Shannon’s approach to teaching is practical, playful, and experiential oriented. Her lighthearted approach reminds people not to take life and themselves too serious. She always encourages people to step outside their comfort zone, to try new things, to connect with others, and more importantly, to have more fun in life! When Shannon isn’t teaching or leading workshops, she can be found enjoying walks in the English countryside, journaling in cafes, painting art, spending time with her husband Peter, and hanging out with their happy fat cat, Thor. My focus is on an individual’s growth, to help people come into their own, and help bring about more joy and authenticity in life.